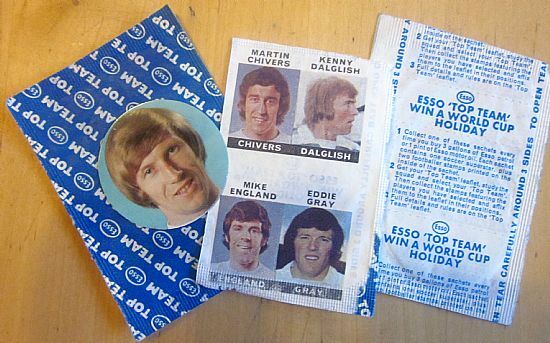 One of my own personal early football memories was this set of coins being available at ESSO stations and playing 'nearest the wall' in the playground. 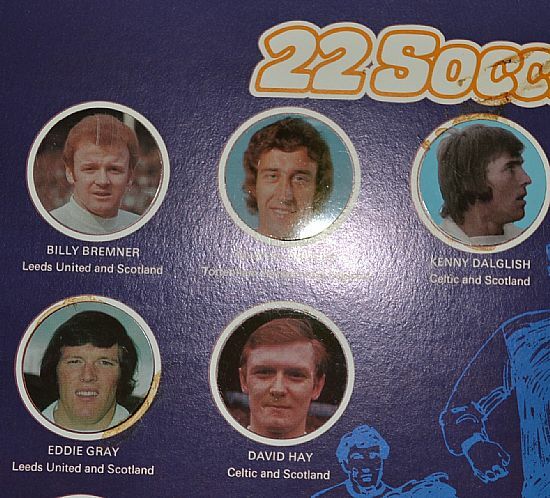 The Kenny Dlaglish side-on image always stayed with me for some reason! 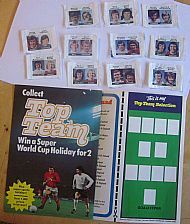 As well as the coins themselves the set also had player stickers inside the wrappers. 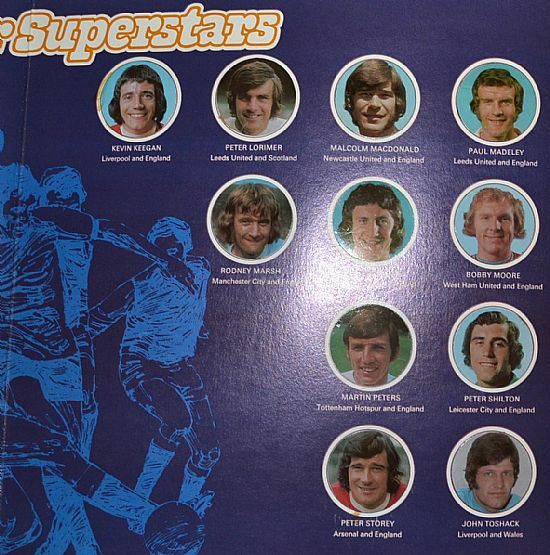 These came in pairs and there is a rare alternate pair to find as Keegan appears to have been originally omitted. 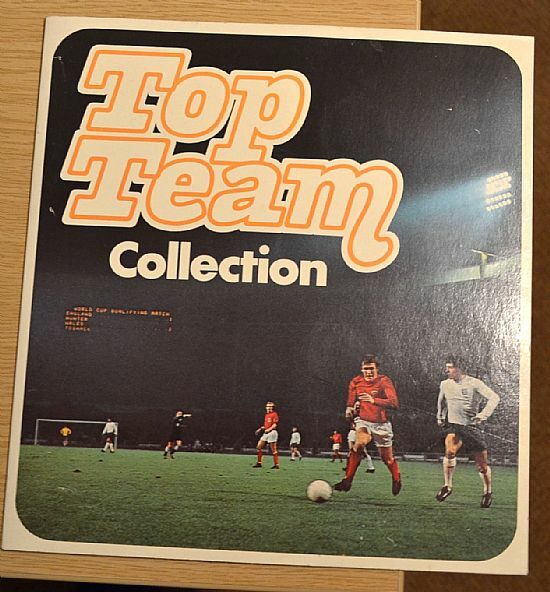 The usual pairings of images are - Bell/Bremner, Chivers/Dalglish, England/Gray, Hay/Hughes, Hunter/James, Jennings/Keegan, Lorimer/MacDonald, Madeley/Marsh, McFarland/Moore, Peters/Shilton, Storey/Toshack and also Jennings/Moore. 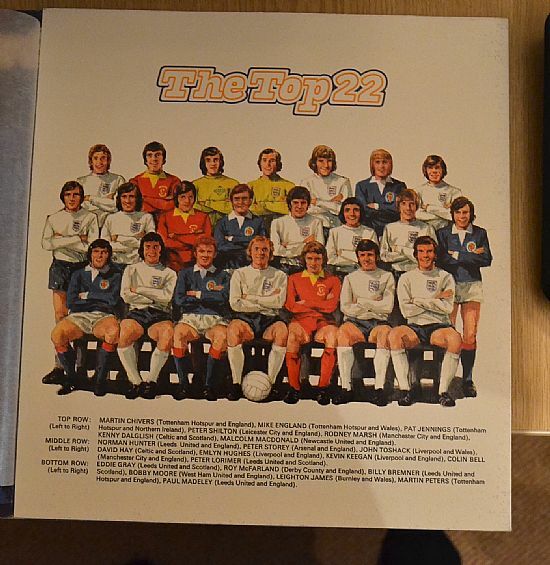 The mixed pairs are Jennings/Moore, Jennings/Keegan and McFarland/Moore. 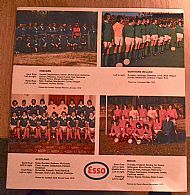 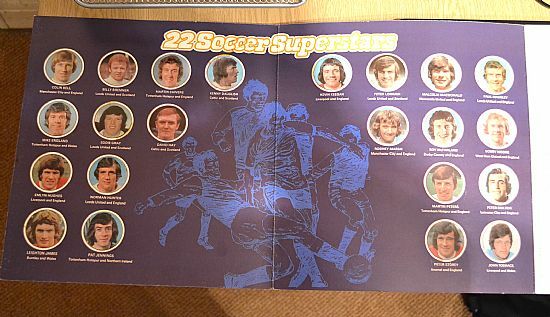 22 top players on metal discs given away with petrol in 1973. 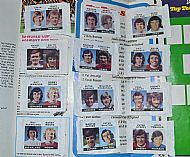 Full set stuck onto board with a few minor glue marks. 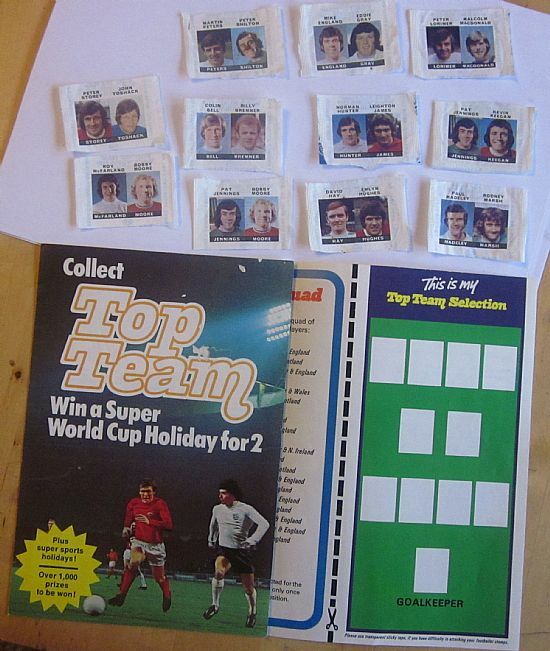 The hugely rare set of player sticker stamps and collectors leaflet plus a few unopened packs. 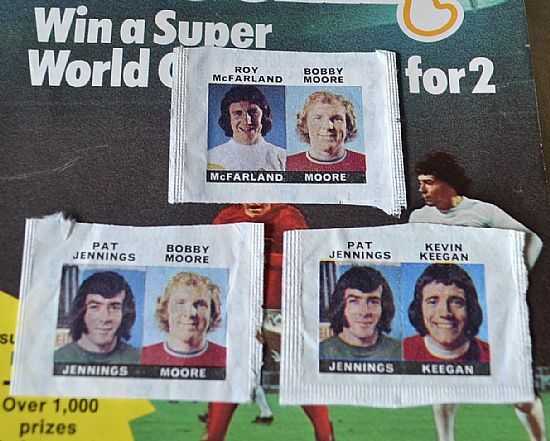 There are twelve different player combinations of the picture wrappers - Jennings and Moore appear twice with different colleagues. 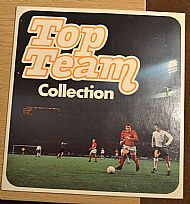 That disc always stuck in my mind - weird! 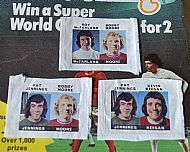 Jennings and Moore appeared twice in the packet pictures, here are the rare ones to look out for. Close up of the discs and wrappers. 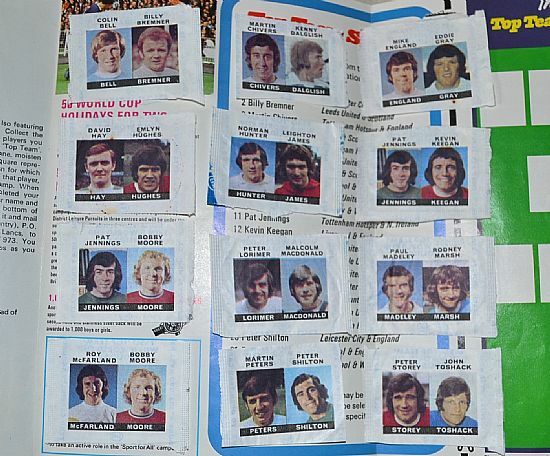 The rare error print ones are Jennings/Moore, Jennings/Keegan and McFarland/Moore. Illustration of the squad members, bit of a space filler. 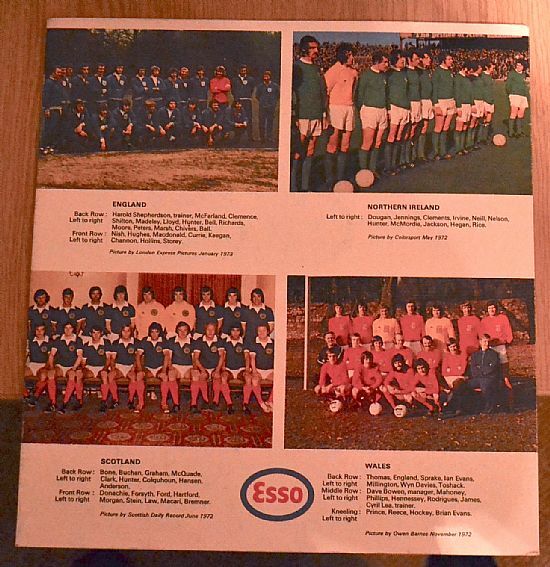 I believe these photos were also available as posters from ESSO.